The College of the Resurrection works in partnership with the Department of Philosophy at the University of Sheffield. Students reading for undergraduate or postgraduate degrees are registered with the university, and have access to all of its facilities. 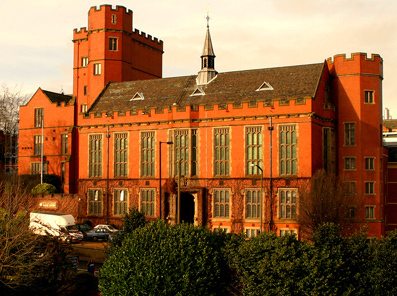 An introduction to the University of Sheffield takes place during induction week, after which you can expect to have a third of your BA/MA lectures and seminars there. As far as possible, we try to cluster lectures and seminars on the timetable to keep travelling to a minimum,and during the academic term you can expect to spend a day a week in Sheffield. The college provides cars for travel there and back. • In Sheffield, they learn from specialists in the bustling atmosphere of one of the UK’s leading universities, alongside a large number of students with even more diverse backgrounds, interests and specialisms. Students on undergraduate or postgraduate degree courses at Mirfield are also registered with the University of Sheffield. This means you’ll have access to all of its facilities, including the Students’ Union, the libraries and the computer clusters. • PhD in Theology, Liturgy and Biblical Studies.